BRYAN EATON/Staff photo. Rose Thorsen has been working in the Amesbury Elementary School front office for four years through the Amesbury Senior Tax Work-off Program. 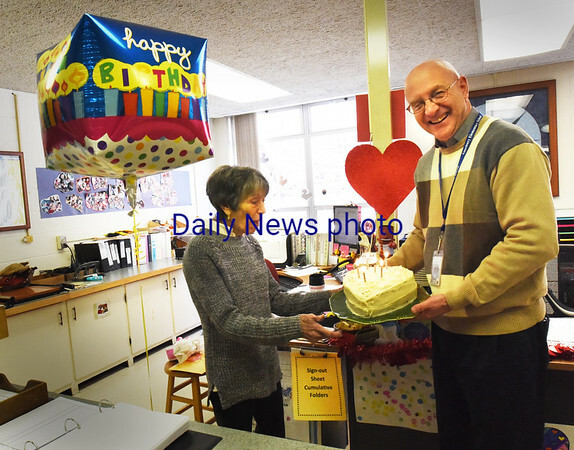 She has since been made to feel at home and the staff, with Principal Walter Helliesen, pictured, presented her with a cake for her birthday, though she wasn't happy to have her picture taken.